Sorry for pretty bad quality pictures from my mobile phone. 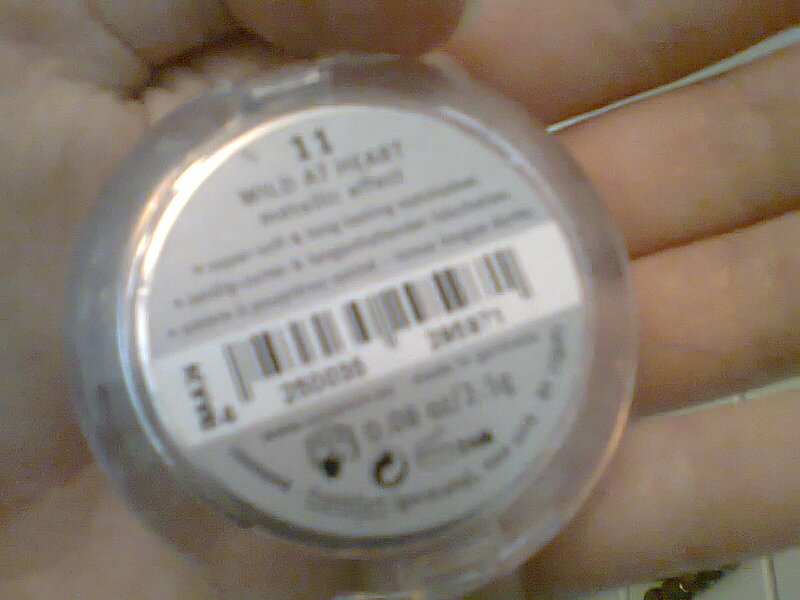 Essence Metallic Effect Eyeshadow in 11 Wild At Heart. €1.99 from Dunnes Stores, Penneys / Primark & some pharmacies. FIRST LOOK : Navy blue ? Essence ? This must be good ! I got this as well as the purple Disco Diva shade from the new metallic effects from family for Christmas 2011. 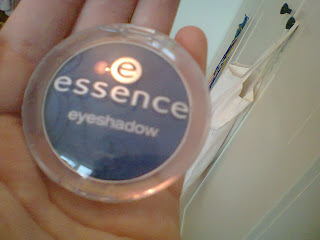 Essence's eyeshadows are all particular good soo this one has a lot to live up to ! I was slightly if-fy though, because sometimes my navy blue eye make-up appears lighter than it's suppose to be or duller ! CON'S WHEN I APPLIED: I had to start with cons, because there are soo many. 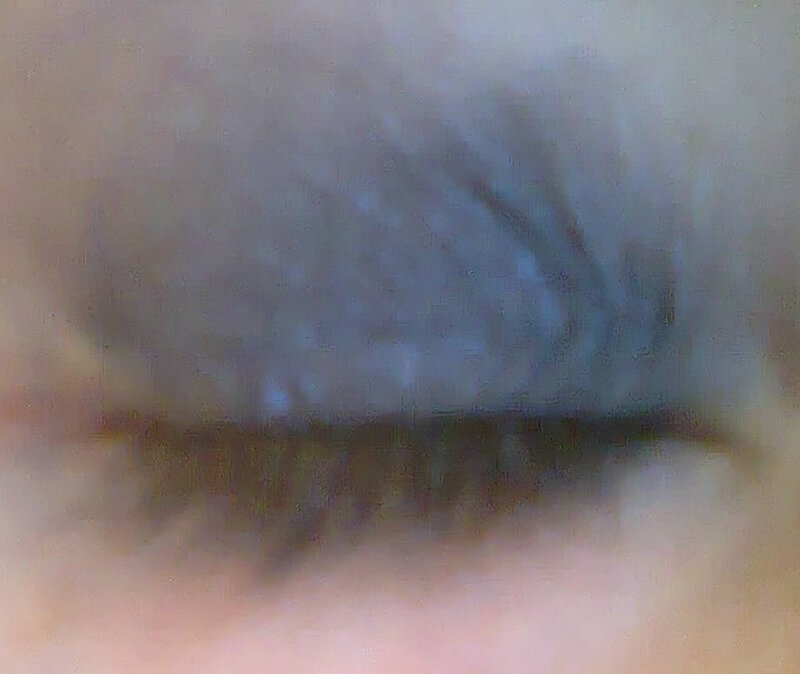 First of all, I must say I was really disappointed with this eyeshadow. The colour was just awful. I was expecting a beautiful strong indigo shaded navy blue, but this was nothing like it. I applied this eyeshadow with my index finger like I do with most of my eyeshadows unless an applicator comes with the product, but one layer of this didn't even come up as a faded colour. It took me three layers to start to get the idea of what colour this shade would show up as. Then things got even more frustrating, because this navy-blue colour that should've turned up as a navy-bluey colour showed up as a dull grey-ish dark dull blue colour. PRO'S WHEN I APPLIED: In a bit of fair deuce to Essence, It did look metallic-creased which it did promise on the package. ALL OVER THOUGHT: I just found this shade really disappointing, because of the lack of colour, etc. . I cannot & don't want to let this one disappointing shade speak for the rest of Essence's eyeshadow range, because I actually also have the metallic eyeshadow in a purple colour called Disco Diva which worked perfectly for me & their matte & mono ranges never gave me any trouble either soo it is just a slight bit strange that this one shade didn't work out. WHY: Well it was disappointing, but in fairness I have never had a problem with any of Essence's eyeshadows soo I must give this two to speak for the overall range. Note that always be wary buying navy blue eye products & use a tester on your hand. I have a navy blue eyepencil which appear too light like a turquoise. I was given this eyeshadow for Christmas & all opinions are my influenced by my own opinions.